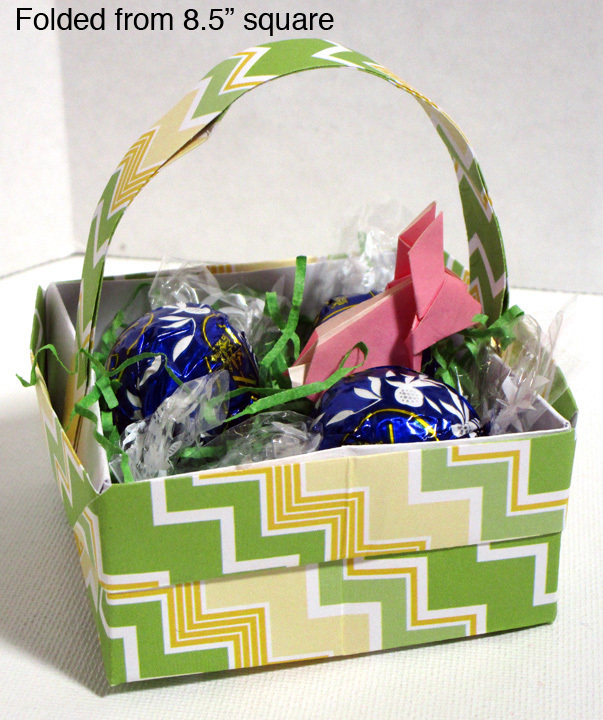 Another way to use these baskets is to write names on them to use as place cards for a festive table; they can be filled with after-dinner mints or other treats your guests might enjoy. 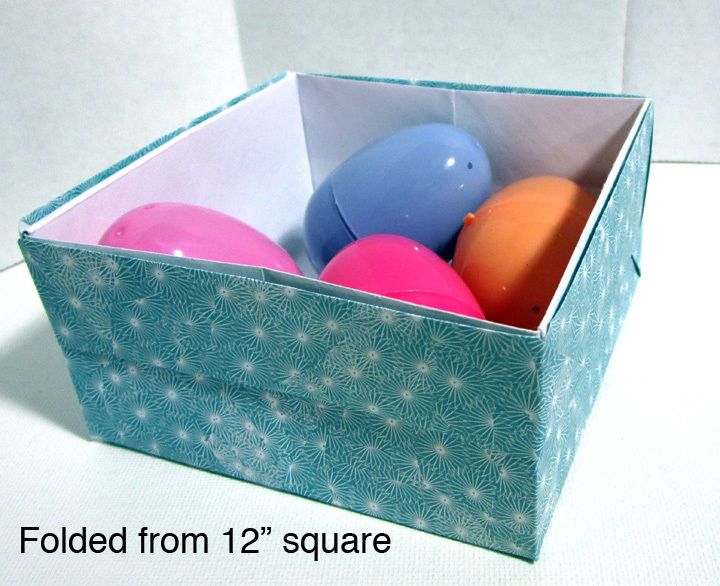 If made without the handle, the resulting box is handy for storing small household or office items. 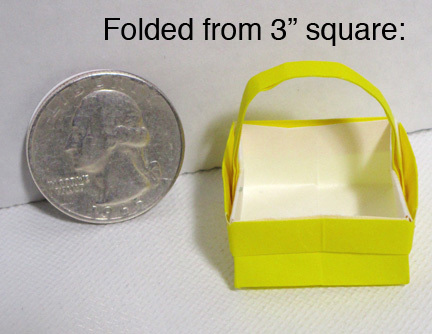 Make several from different sizes and nest them inside each other when not in use. 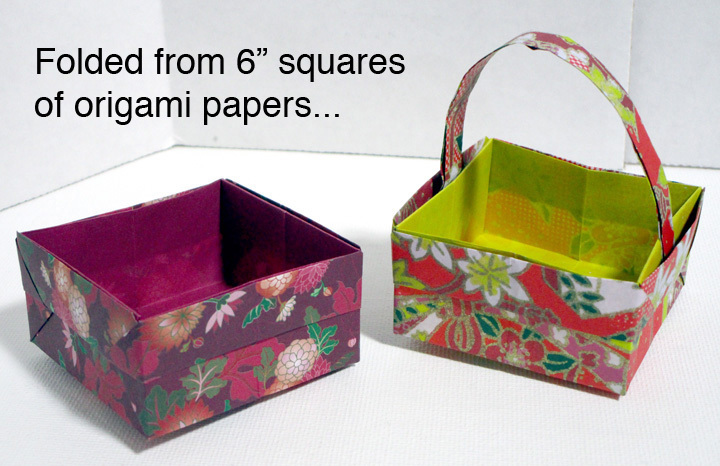 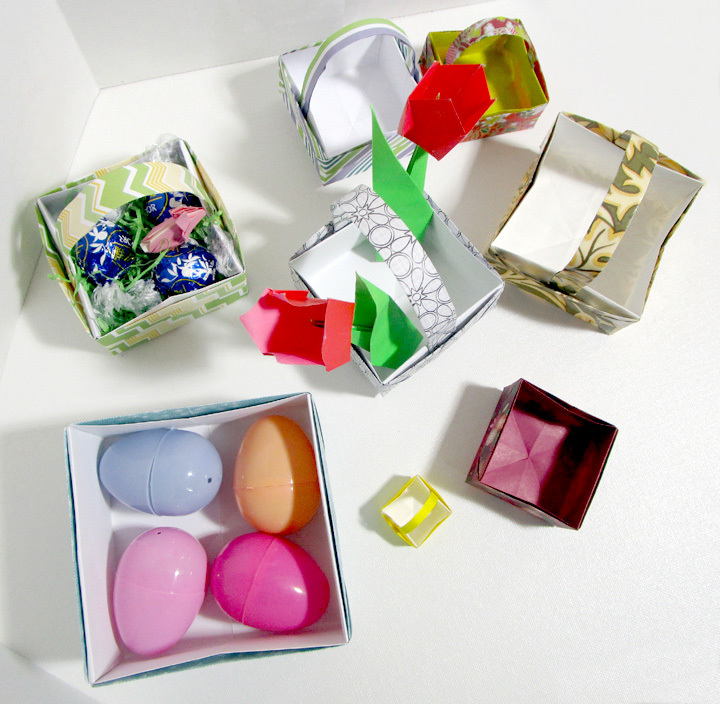 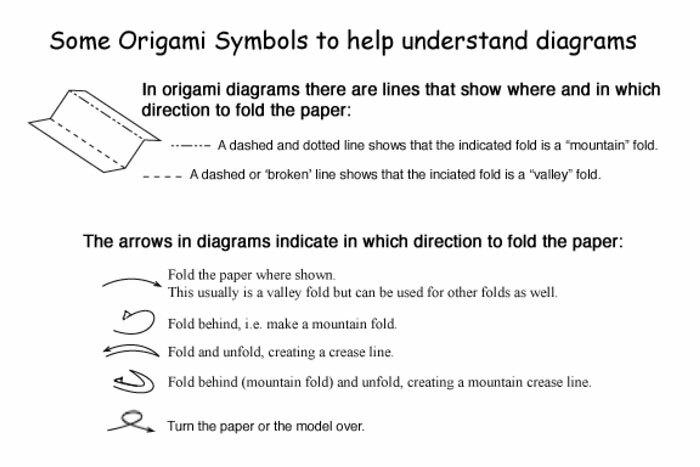 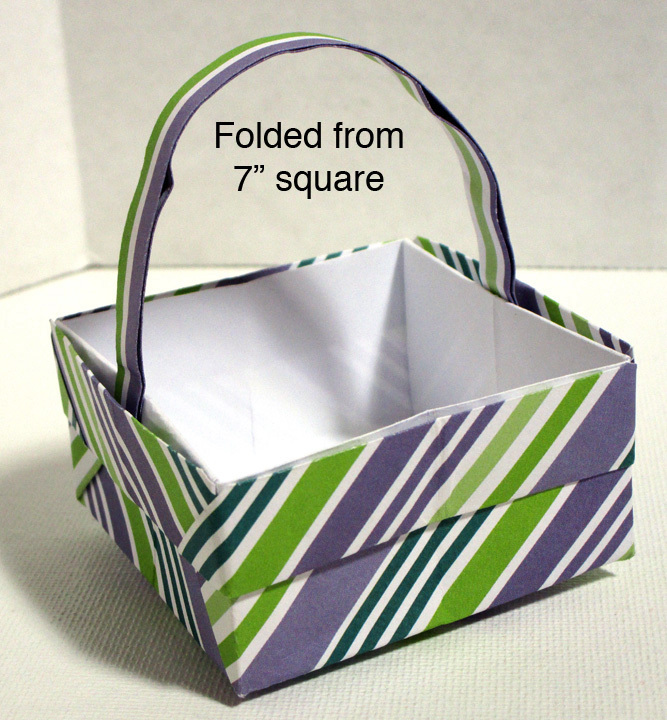 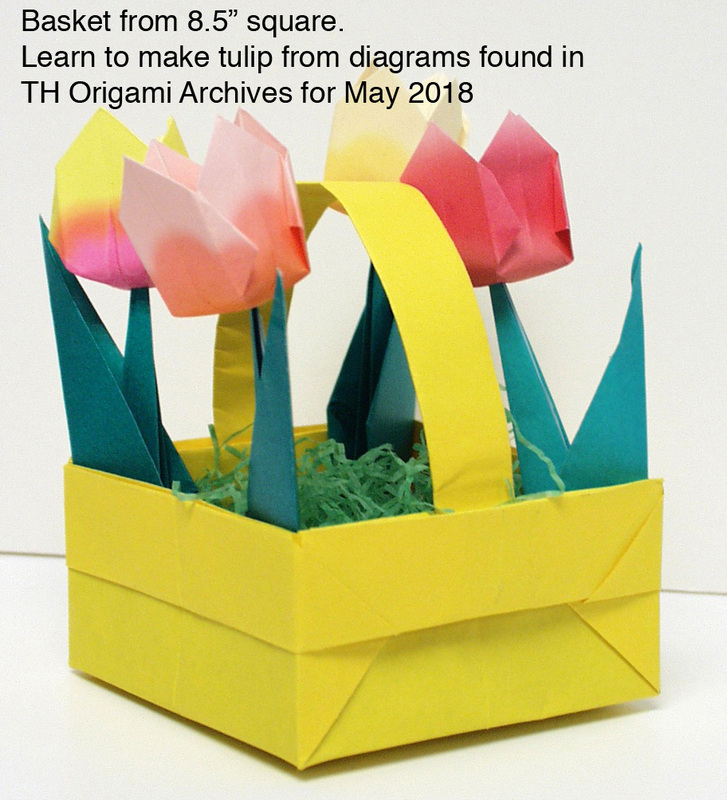 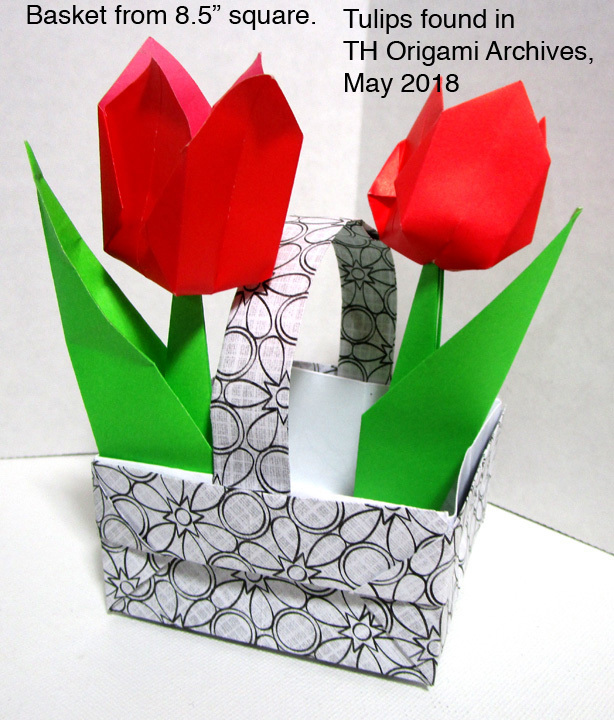 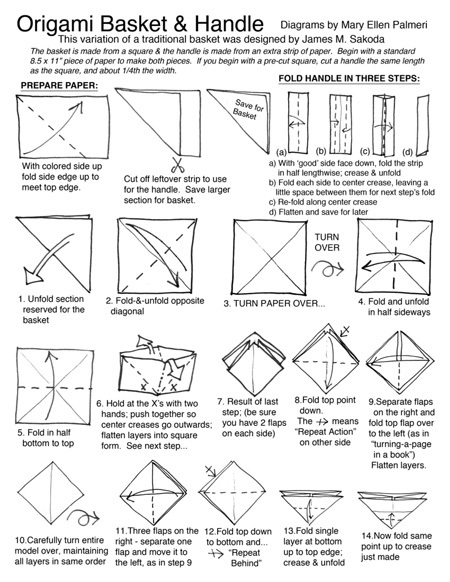 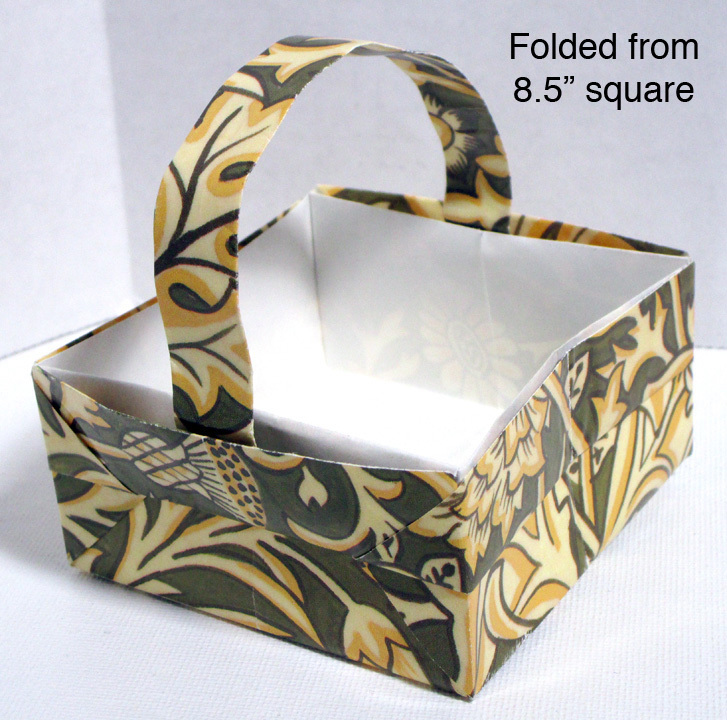 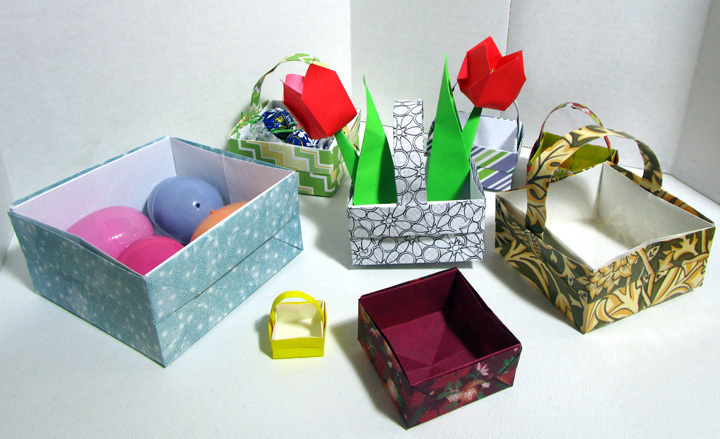 Find different paper patterns and colors to fold for a colorful array of baskets or boxes; if only one side of the paper is colored, the inside of the box will be white.